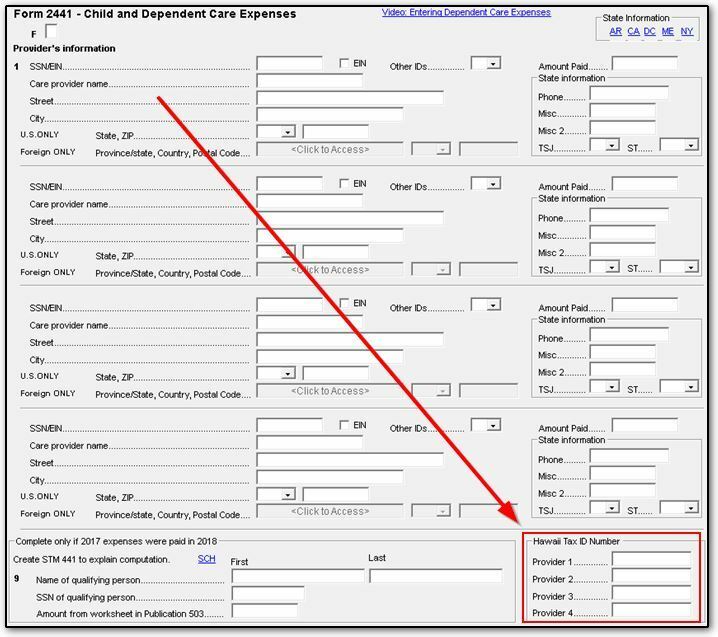 Where do I enter the Hawaii Tax ID Number on the 2441 for Childcare Expenses? The HI Tax ID Number is located towards the bottom-right of the federal 2441 screen in data entry. Make an entry here for each provider that is listed on the 2441 screen to clear HI red messages 0041, 0049, and 0073. Article has been viewed 40 times.